Mainflux IoT Edge computing Gateway MFX-1 is the part of official EdgeX Demonstrator that will be presented on Edgex Foundry booth at IoT Smart Barcelona Congress. IoT World Solution Congress become a global reference for industrial IoT and the annual meeting for leading industry stakeholders to establish new partnerships. 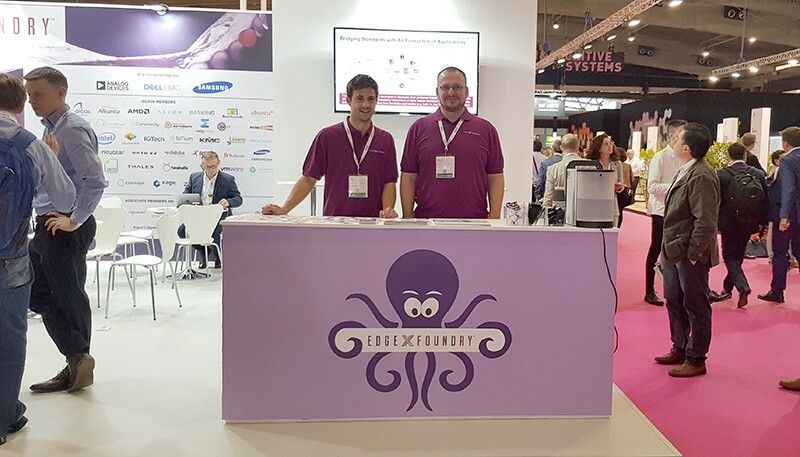 With an exhibition spanning across 32,000 m2, it is among very few events in the world with a dedicated area to showcase the most innovative tech solutions. 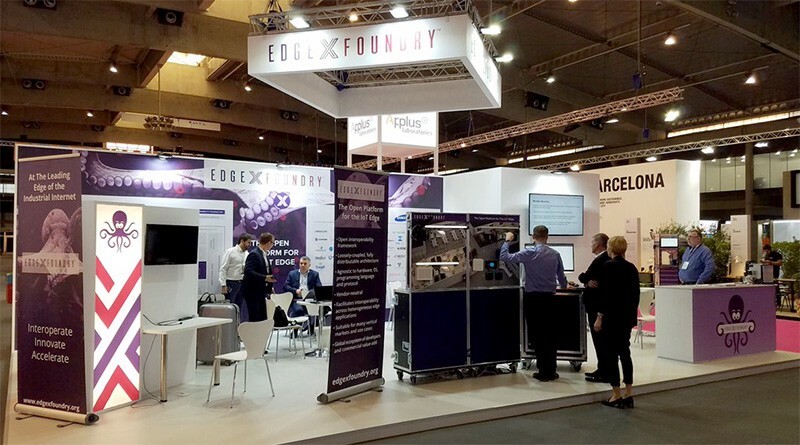 This year it will be held from 16–18 October and Edgex Foundry booth will be in Hall 2: C361. 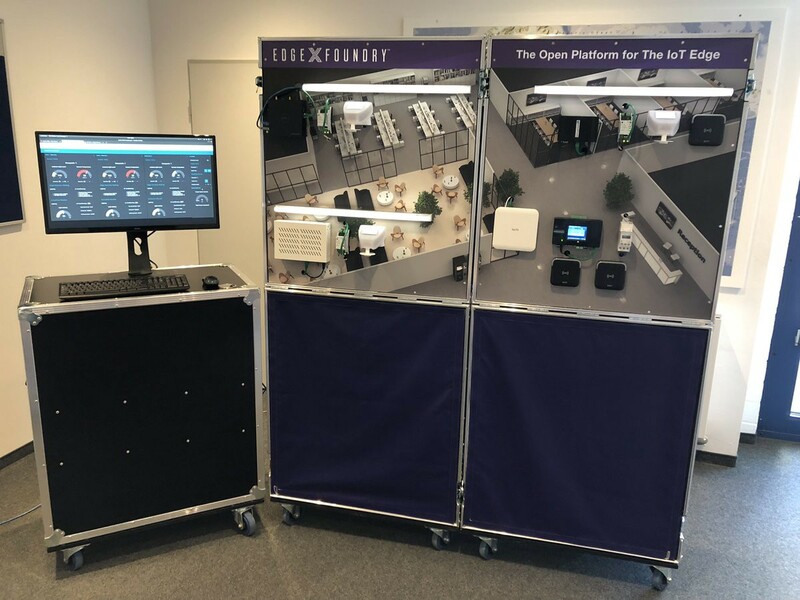 The EdgeX Demonstrator will be displayed for the first time and present technical advantages of the EdgeX Foundry open source framework in the context of Smart Building Automation. The EdgeX Demonstrator demonstrates vendor-neutral and heterogeneous features of the EdgeX platform creating a single solution using different hardware vendors (Cavium, Dell and Mainflux), various hardware architectures (ARM 32/64 bit and Intel) and multiple connections with Northbound Cloud Systems (AWS, Google, Azure) all working seamlessly together. It was built by EdgeX Foundry members: IoTech and Basking Automation. Mainflux IoT Edge computing Gateway MFX-1 is showcased working together with Dell-300, Cavium GW and Raspberry PI. The demo will show Device services running on both smart sensors connecting directly to the cloud and hosted on a gateway, supporting sensors/devices with several wired and wireless protocols. The horizontal flexibility of the Edgex which enables rapid deployment without technology lock-in is presented also including Edge Analytics capabilities. Presented use cases simulate a real-life situation in which this Edgex Foundry based Buildings Automation vertical solution, controls energy consumption, HVAC operations, and lighting based on occupancy levels and users preferences. The demo is split into several zones, areas within the flexible office space, each with different environmental conditions and occupancy levels, driving different setting for the air conditioning and lights. All the data collected and analyzed by EdgeX and the cloud backend will allow the building to be automated according to the various metrics, in general, or specific to each of the zones. 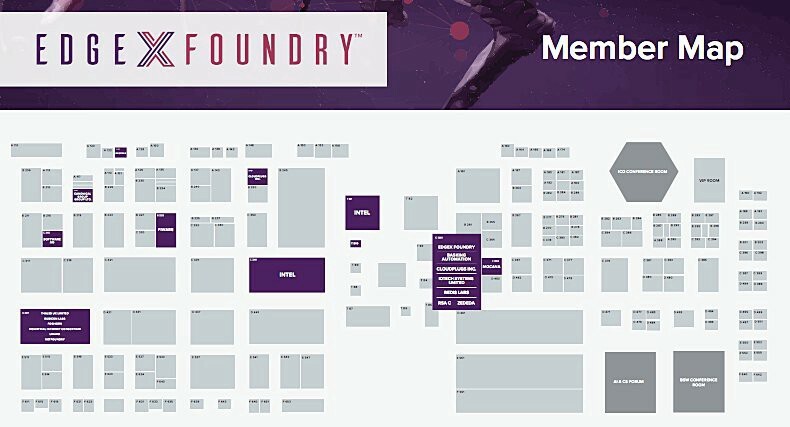 Manuel Imperiale and Janko Isidorovic one of the Mainflux Co-Founders are at the EdgeX Foundry Booth and can be contacted for additional information. MFX-1 IoT Edge Gateway is Linux Foundation EdgeX Foundry compliant IoT gateway developed on the optimized hardware platform for industrial IoT edge computing solutions. Implemented on Solid Run HummingBoard-Edge hardware it is the ideal M2M platform, developed to meet the B2B market demand for a high performance, reliable and innovative device. Mainflux MFX-1 IoT edge gateway can be used as part of Mainflux IIoT System which enables remote management of MFX-1 and/or other EdgeX foundry based gateways using EdgeX GW management applications.